Home Uncategorized Mc Kinsey: What next for blockchain? Mc Kinsey: What next for blockchain? Bitcoin isn’t mainstream yet, and some skepticism of the digital currency remains. But the buzz surrounding the technology underlying it—blockchains—has started to take a different tone. Blockchain, headquartered in Luxembourg, is a company that provides a software platform for digital assets. Its product offerings are on the forefront of advancing blockchain technology. 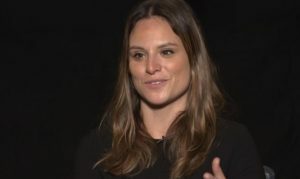 In this interview with McKinsey’s Rik Kirkland, Liana Douillet Guzmán, senior vice president for growth, discusses what areas are ripe for development and how the story is changing. An edited version of her remarks follows. I think it was Time magazine in maybe 1994 had a cover on the Internet, and it was all about how it was for the dark net. That was very much the Bitcoin story a year ago. I’m finding we’ve matured out of that story. People are realizing that anything can be used for illicit means. But actually, this is not the ideal thing to use for illicit means, because though it is private, it is fully traceable. Blockchain technology is a distributed ledger. It allows for the permanent and immutable transparent recording of data, essentially, and transactions specifically. That can be used to exchange any number of things that have value, whether that’s an actual item [or something else]. It could be tea leaves making their way to the final tea maker. Or it could be me sending you a payment person to person without the need for intermediaries. I think of Bitcoin as being the entry point to a digital future where everything of value can and likely will be exchanged in digital format. Central banks will look to the Bitcoin experience to build central-bank-backed digital assets. From an enterprise perspective, you might move away from Bitcoin specifically and take what you learn from that to apply it to other use cases. You can look at things like supply chains, where you can use blockchain technology to [trace the provenance of products], right? You can essentially assign a tag to items across the supply chain and record each movement down the chain on a blockchain. I think we will have private blockchains that fit into the public blockchains, similar to the way we think about the Internet and intranets. If you look back at when the Internet came out, a lot of companies took a similar path, where: “Oh, the Internet sounds interesting. We’re actually interested in intranets. We want to have this internal connectivity.” Intranets didn’t radically change our world, but they are a useful part of the ecosystem. Right? They allow our businesses to interact with one another internally and then plug into a more public domain. Ultimately, what we’re going to see is these partnerships, this collaborative process, where we have companies use private blockchains that sit atop public blockchains. On the consumer side, if I’m being really honest, there isn’t a tremendously compelling use case for somebody like me—somebody who lives in New York, higher socioeconomic status, who’s fairly well served by the current financial system. What’s interesting is that it doesn’t mean that the system that serves me fairly well is a good system. Right? When you actually dig into the financial system as we know it today, it’s fairly antiquated. It’s primarily built on technology that was created in the 1970s. The thing that I find really exciting about this technology is [what it can do] not just for users like me but users across the world. Two and a half billion people across the globe are not served by the current financial system at all. That’s 1 in 12 American families. And 1 in 5 families are underserved by the current financial system. They have access to financial services, but at a tremendous cost. Those people have a radical use case for this technology and for Bitcoin specifically. I think about somebody who’s sending money home to the Philippines. The typical send is about $200, and the typical fee for that is $12. That’s a half day’s wage for the average person sending a cross-border payment. You can send it via Bitcoin for a couple of pennies. That’s a really meaningful use case. When I first joined [Blockchain], the conversation was relegated to financial services. How are the big banks going to use this? Even that conversation was about how the big banks will use this to make their systems more efficient. That conversation has transitioned to “We’re creating an entirely new model here.” Even the big banks are on board with that. People really want to be a part of this conversation. And that’s the first step to this technology. The next step is “OK, we want to be a part of the conversation. What can it really do for you?” There will be cases where the answer is nothing. But there will be far more conversations where the answer is really compelling. One of the issues that we have as an industry is that people are talking in three- to five-year increments. I think this is a decades-long experiment. And I don’t know that I can say where I think we will be. What I can say is that I do not believe there is a single industry that will not be touched by this technology. When you created the Internet, there was no way to really predict Facebook. But the basis of the Internet was to connect people directly. That’s what Facebook does. Right? It’s a delivery of that promise. I think the same is true for this technology. This technology is about allowing people to own and transact their own value. I think that will impact identity. You think about refugees and the inability to register their identities. Well, you can do that with this. Take land titles. Haiti, when the earthquake happened—most, if not all, of the land titles in the nation were held in one building that was destroyed. You have a nation now that doesn’t have land titling. And this technology can meaningfully change that. Rik Kirkland is the senior managing editor of McKinsey Publishing and is based in McKinsey’s New York office. Liana Douillet Guzmán is the senior vice president for growth of Blockchain.